The introduction of accounting technology has changed the public perception of the accountant from a slightly geeky mathematician with a pocket protector to one of a tech-savvy young professional. This change didn’t happen over a long period of time. In fact, from the time Leonardo DaVinci invented his Codex Madrid and Blasé Pascal produced the calculator to the 1980’s, accounting practices remained virtually the same. Then computers appeared in the 1980s and changed everything. Here are five ways accounting technology has altered the accounting profession. Technology has Changed the Look of the Accounting Office. Instead of desks covered with paper spreadsheets crowded against the electric calculators, file cabinets bursting with paper files and an accountant clutching a pencil, intent on a page of numbers, a computer sits on the modern accountant’s desk. There is a printer in the room, along with a copy machine, eliminating the need for hand-copied ledgers. Computers make accounting work less tedious and shorten the time it takes to enter information into a ledger from the long process of doing it by hand. Technology has Reduced the Margin of Error. Computers are more exact than the human brain. Microsoft Excel was once the standard tool for business applications, but now there is even more advanced software available that makes data entry easier and more reliable. If an error is made, however, finding it is faster on the computer than visually searching rows of figures or by recalculating. Once the mistake is found, correcting it is faster too. Technology has introduced the Internet. Until the advent of the Internet, accountants had to research expenditures and financial histories by reading documents and copying pertinent information. Today that research can be done through a targeted search of files on the Internet. 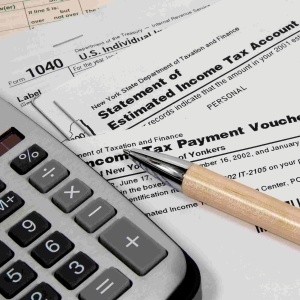 Through accounting technology taxes can be filed online as well. The website cpapracticeadvisor.com touts a relatively new software called Enterprise Resource Planning that assimilates data from across the spectrum of a company business profile, making logistical expense data, supply chain information and figures from other aspects of the company finances all available through one program. Sharing information securely is also possible with the advent of the Internet. Recently, technology has gone beyond the Internet to offer cloud storage that makes it possible to store more information without taxing a corporation’s computer system. At one time, people could access a company’s financial information by stealing a paper file. Today, as small business.chron.com points out, that data is password-protected. New accounting technology enables accountants to encrypt data as well, making it even more secure. Files can still be accessed illegally by hacking the system, and that is one of the limits if the technology that is being addressed by developing other software and processes that can lock down systems or put unbreachable firewalls around them. This weak point has led many universities to offer degree programs in the new concentration of accounting forensics. In the past, accountants had to have high aptitudes in mathematics and understand the laws and regulations concerning accounting and finance. While that is still true, today’s accountant spends less time “crunching numbers” and more time advising clients of investments and other financial matters. “People skills” are now almost as important as computational skills as the accountant assumes more of the consultant role. Accounting degrees have changed to reflect that fact. Degree programs focus on communication and computer sciences along with finance, interpreting financial information, tax accountancy and other traditional courses. Technology has changed the way accountants do business, the professional training they get and even the traditional stereotype of the image of an accountant. Advances in accounting technology since the 1980s have made the profession more exact, more secure and even more cost effective.